Recently our planet's darker energy has stirred. Yes? Over the past week I've listened to your call and I've been intently tuning into global energy. I'm going through all of the challenges, shifts and changes with YOU. Yes, our dark side has risen, but there's good reason for it. There is an incredible opportunity at hand. "Ever since The Total Solar Eclipse at the end of August, we’ve been receiving some interesting energy on Earth. As you may recall, this recent Eclipse Season, which lasted from late July until early September, brought us back to the exact alignment of The Sun, Moon and Earth last experienced in 1999. Plus, it was the first Total Solar Eclipse that crossed the entire US since 1979. The United States is a nation that exerts quite an influence on the world. There has been much unrest in The US, even before last year’s November Elections. This recent Eclipse stirred the energetic pond even further." "Eclipses (both lunar and solar) can and will force CONCLUSIONS in any situations that are out of alignment with universal order. So look around the globe right now and you’ll see ‘many’ situations that are crying out to be balanced and brought into whole. Yes?" Have you noticed a marked increase in the darker aspects of life arising, especially since late August? This energy that has arisen is similar to what happens when we clean a dirty pond. Have you ever done this? We put our hand into the pond and stir up the bottom, as debris and toxins that have been left to settle rise to the surface. We need to sift through this darkness in order to clear the pond and allow the light to shine through. If we don’t clean it up, the pond becomes opaque and heavy and a breeding ground for disease". 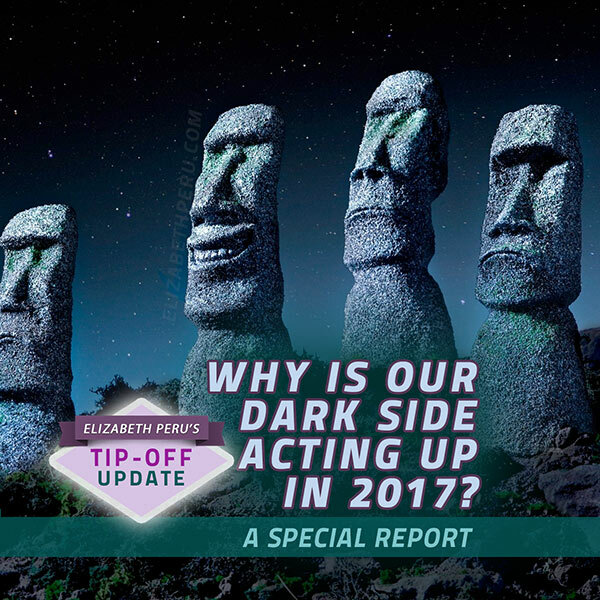 "What I want to assist you with in this Special Report is perhaps a deeper or new awareness about what darker aspects of being actually are. For I’ve learned that the darker aspects of existence are a part of every living being and essential to be explored, assimilated and made whole..."